19 March, 2012. It was a Monday. What does Backbone.js do with models that are not used anymore? Function scoped variables are cleaned up when the variable falls out of scope. That is, when the function has exited and there are no more references to it, the variable can be cleaned up. A return value is held in your app by assigning the return value to another variable. A return value falls under the same general rules, but the variable is now in a different function or attached to the global object. Once that variable goes out of scope, it can be cleaned up. Objects with attributes and methods fall under the same rules. An object can reference another object or function by having an attribute assigned to it: myObj.foo = thatObj. In this case, any variable that you assign to the object will now live with that object. You can remove the reference from the attribute at any time, or let the object fall out of scope / reference to clean this up. For example: events. An even handler / callback method works by having a reference between the object that triggers the event and the callback that handles the event. 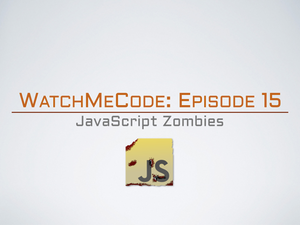 This is one of the easiest places to cause memory leaks in a Backbone app and I discuss it in detail in my Zombies! blog post. Additionally, my Backbone.Marionette framework that sits on top of Backbone does a lot of cleanup work for you. I provide access to a Region object and various types of views that automatically clean up DOM references, child-view references, event handler references, etc. For example, don’t define functions inside of object constructors unless you absolutely have to. Doing this will create a new copy of the function every time you instantiate an object. Instead, attach functions to the object prototype. This will reduce the overall memory footprint of an application, reduce the amount of work that the garbage collector has to do, and generally improve your application performance.